2016 was a good year for Clyde as well. Last deer season, Clyde took the biggest buck of his life during an Election Day hunt with his granddaughter, Christin. It was also a solid 8-point buck, the largest animal Clyde has harvested in his 40-year hunting career. 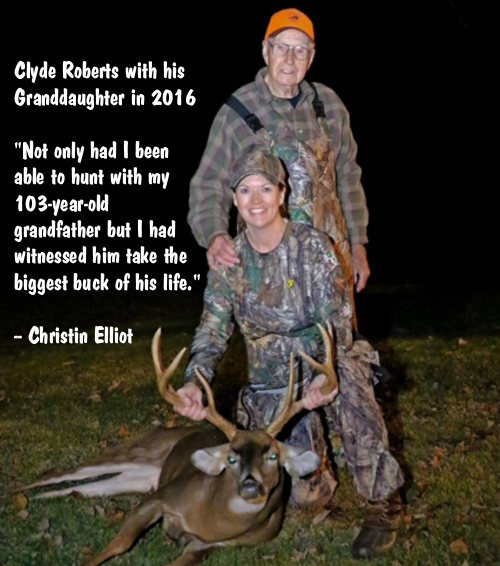 CLICK HERE for Christin Elliot’s account of her Muzzle-Loader hunt with her grandfather. 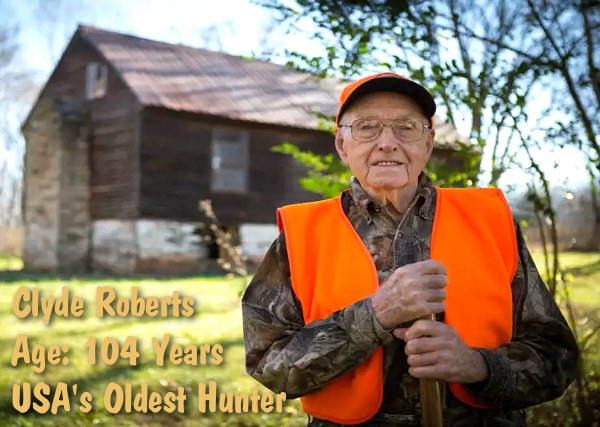 Share the post "104 Years Young, Clyde Roberts is America’s Oldest Active Hunter"